The show’s 100th episode brings the impending conflict to an explosive beginning. For the last few months, teasers and promotional spots have hinted and promised that the 8th season of the Walking Dead would be an bloody conflict between Rick, Negan, and their respective followers. However, TWD isn’t known for keeping up with it’s own hype (see: every filler episode where nothing happened), so for many viewers, hopes were cautious. Thankfully, ‘Mercy’ delivered a great episode full of memorable moments, some creative scenes, and only a few rough areas. Weirdly enough, for an episode about an impending war and plenty of gunfights, the tone of ‘Mercy’ was nearly optimistic. Opening with a bizarre set of scenes involving a very aged Rick, an ideal future, and a Weird Al Song, the episode played fast and loose with chronological order, giving viewers a glimpse of an apparently victorious group of good guys. However, small shots of a clearly pained rick struggling to keep his eyes open hint at something far more sinister; could this vision of the future be Rick’s last thoughts? It was almost too perfect, especially given the state of the ‘real world’ as the characters have it now. As Rick and team prepared to fight Negan, we got to see a lot of interaction between characters with smaller roles, getting to know each other and forming bonds right before the big fight. With such a large cast, TWD did a great job of giving everyone a little screen time, while keeping the main action focused on the two men and their war. This was an episode full of optimism, even in the face of what will obviously be a bloody conflict. There were also plenty of inspirational speeches to go around, though Ezekiel stole the show for those, quoting Henry V and delivering a performance worthy of his love of theater. There were lots of moving parts in this episode, and almost all were focused on bringing a swift, well planned attack directly to Negan’s doorstep. While Rick and group drove armored cars (with built in cover!) directly to Negan’s camp, the others eliminated his scouts and drove a herd of walkers into the complex. Everything was timed, organized, and well executed; a surprising amount of success from a show that enjoys setting a character up for a win, and then twisting it into a loss in the last minute. The heroes’ plans worked perfectly, resulting in The Saviors being beaten and trapped in their own complex. In fact, not a single main character was killed, which is surprising as the combination of TWD and war almost guaranteed a high body count. As most of last season was spent with the emotional weight and terror of Negan’s constant victories against the heroes, it was a breath of fresh air to see them so soundly defeat him. 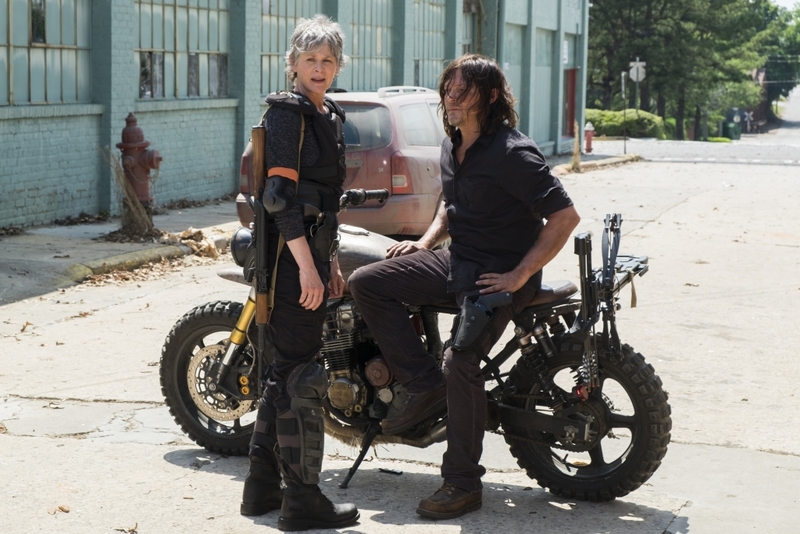 If the rest of season 8 can keep up with the quality of this episode, we may be seeing TWD in it’s best form; moving quickly enough to feel a natural progression, but still delivering a gut-punch of emotion when needed. As someone who has watched since episode one (after following the comics for years) it’s good to see the show hitting high marks. For the Walking Dead, All Out War might be their all out best yet. The best part: The episode had a good number of highlights, but Rick ending his count early and opening fire onto Negan and his cronies was by far the funniest. Though Gregory getting shoved down some stairs was a close runner up. Third place goes to Daryl, who has apparently honed his ninja skills to the point where he can kill one of Negan’s scouts and steal the man’s cigarette at the same time. 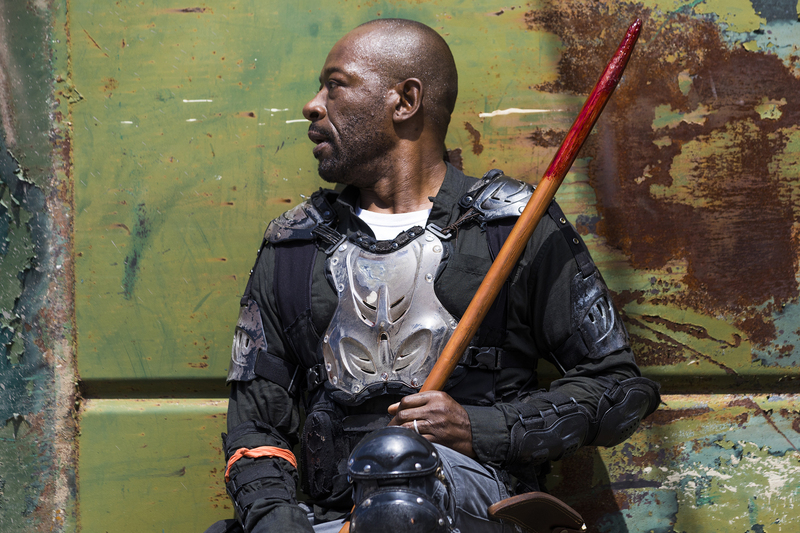 The worst part: I realize that Father Gabriel and Negan ending up trapped together will give the writers a chance to explore more of what makes the bat-wielding maniac into a monster, but how it got there was pants-on-head stupid. First off, after witnessing Gregory buckle to Negan and threaten his ‘town’, even the nicest of Rick’s team would have thought twice about trying to save him, especially if it meant diving into a massive herd of undead. 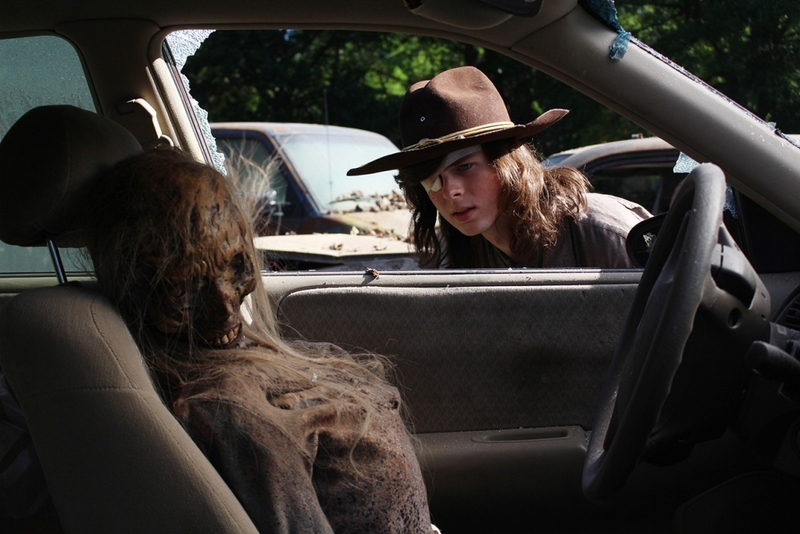 Second, if you absolutely HAD to save him, why get out of the car? Gabriel had a perfectly good, armored vehicle that he completely abandoned (and left the keys in). Why not just drive to Gregory, or better yet, tell him to run to you? This was the only bad writing in an otherwise great episode. We’re all up in your Facebook!